City Siege 4: Alien Siege is an Action packed Shooter game from Armor Games by The Podge. You’ve fought them in the City! You’ve fought them at Snafu Island! It’s time to blast some martians, rescue your favorite hostages from the terror of brain-sucking plants, and to buy the heck out of some wicked cool upgrades. 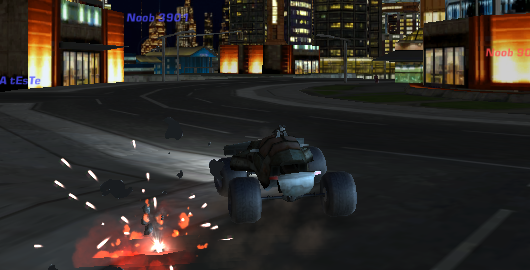 Last Mars Tower is a Defense game from Notdoppler by DMT Games. Humans are trying to take over Mars. 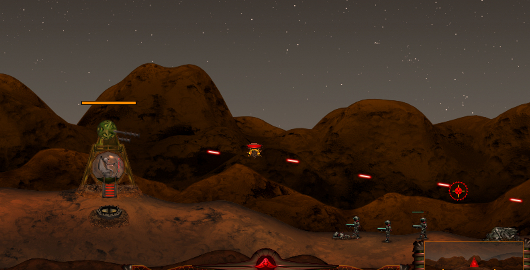 Help the Martians defend their planet by taking control of their only remaining attack tower. 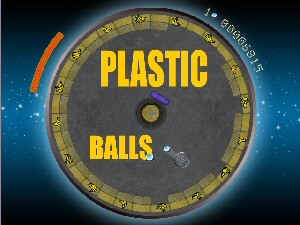 Plastic Balls 1.5 was released on January 2004 and is available on Plasticmartians website. This game is another Breakout like, but a “circular” one, in which you must stop the ball before it falls in the plughole. As always with a Breakout-like game, your goal here is to move your pad with the mouse (you can try with the left and right arrow keys, but it is much trickier! ), and try to eliminate all the bricks in the funnel by smashing them once or more with your ball. 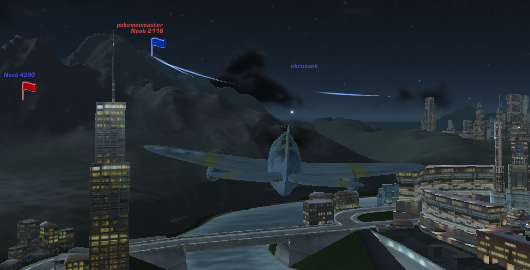 Physics – especially gravity – are great and graphics are really nice. 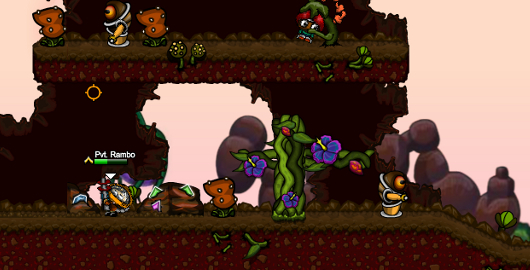 Fourteen different power-ups are available (my favorite is the green one – next level) throughout the 30 different levels. Tip: don’t focus on the falling fruits, which will just add a few extra bonus points. 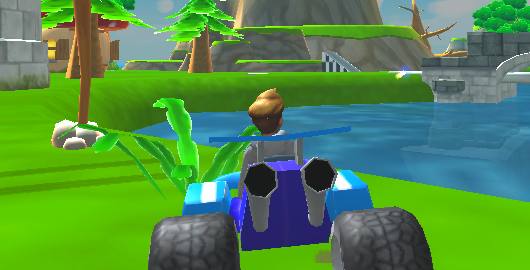 On the downside, difficulty doesn’t especially increase throughout the game, and some of you could start being bored after playing for a while; besides, there is no music in the game, just a few sounds when the ball bounces on bricks. Having said that, Plastic Balls 1.5 remains definitely a great and original implementation of Breakout. You can’t miss this one: this is not really a game for a coffee break, but if you like this concept, prepare yourself to spend hours to end this game! Have fun!